Despite the ever increasing popularity of cruise holidays, there are still people who could be put off by the sheer size and scale of some of the most modern vessels now taking the seas. The likes of Royal Caribbean have pushed the boat out (pardon the pun) in recent years with ships that are bigger than ever; effectively creating huge resorts at sea that house everything you would expect to see if you were taking a traditional land-based holiday in the sun. RCL’s three Oasis Class ships are the three largest cruise liners currently in operation, both in terms of size but also in terms of the number of people who can be carried onboard. In fact, at capacity, the three Oasis Class ships can carry in excess of 6,500 people – a figure that dwarfs all but a handful of hotels around the world. Although space is at far from a premium on these mega ships, it is perhaps understandable that some people might prefer a more intimate experience that takes them away from the crowds. The good thing is, there are plenty of cruise lines that specialise in trips on either small or medium size vessels. Alongside a myriad of small operators with ships that can carry a few hundred passengers, the likes of Seabourn, Silversea, Oceania Cruises, Celebrity Cruises and even P&O have ships that have been designed to carry fewer than 1,000 passengers. But what are the main advantages – aside from the lower number of passengers – from taking a trip on one of these smaller ships? In reality, the lower number of passengers ties into one of the major selling points for these small cruises, with higher staff-to-guest ratios for the most part helping to provide a higher level of personalized service for those who are travelling onboard. Such levels of service are also reflected in the fact that a number of these smaller ships offer the kind of 5* luxury that you won’t find anywhere else at sea. Smaller ships might be more appealing for those who are travelling alone given that there is the opportunity to make friends with fellow travellers who you are more likely to become familiar with during your trip. Even though you won’t have the variety of dining and entertainment options on a large ship, you’ll not be left wanting for anything during a trip on a smaller ship. Top class cuisine is still guaranteed whilst you may well learn something from your time aboard with a number of cruise lines offering educational activities on smaller ships that will provide the opportunity to gain a greater knowledge and understanding of the region in which you are sailing. That’s alongside some of the more traditional entertainment options that you would expect to find on a cruise ship – with the chance to dance the night away, to relax with a drink in the bar, or to marvel at the stars shining in the sky from on deck. Of course, there is one major selling point of a smaller ship over a big ship cruise – and that is where you can go. 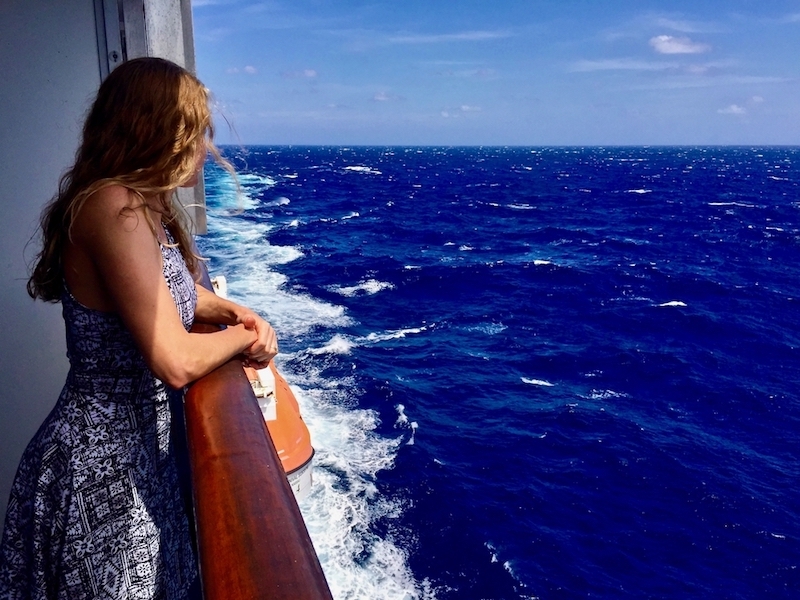 By their very nature, the biggest cruise ships at sea can only head to destinations that are able to accept their sheer size, which means a trip in a smaller ship will allow you to reach the areas that you might otherwise have missed. It means a small ship cruise is perfect for those who have more of a sense of exploration and who want to go beyond the ‘traditional’ cruise destinations.